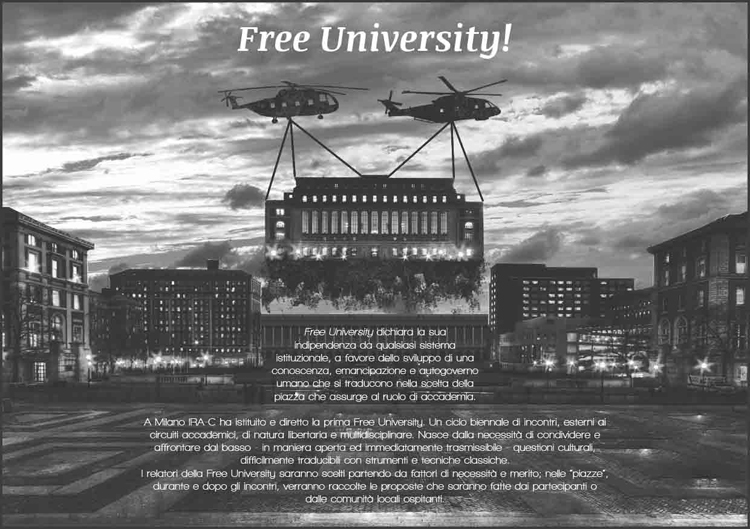 IRA-C Free University first wants to subtract education from acknowledged skilled, remove the disciplinary fences [the border with other disciplines and other knowledge, it is not intended as a rigid barrier that defines and separates but as an area of trespassing and openness] and offers educational models that have a high value, both social and political, radically anti-hierarchical and revolutionary. 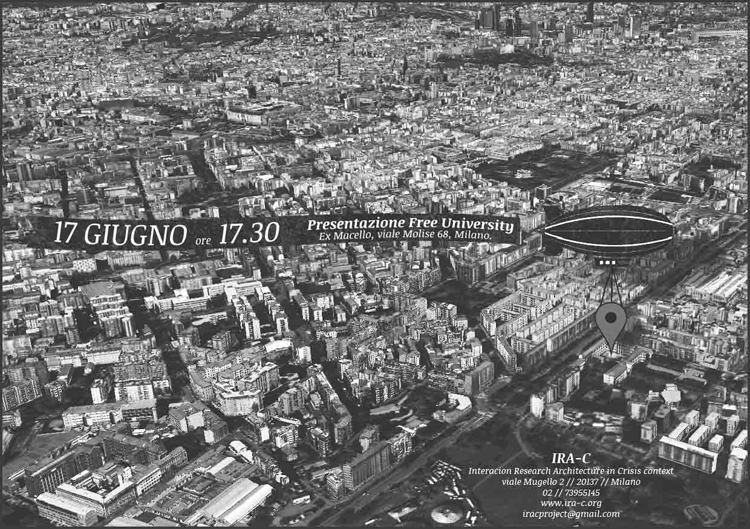 IRA-C Free University is made up as a six-month cycle of meetings, external to the academic community, libertarian and multidisciplinary in nature, aimed at the realization of feasibility studies, projects of urban intervention temporary design business, a social background. We're honoured to be part of the scientific committee 2013|14 : Lucia Tozzi, Ethel Baraona, Carlo Mancosu, Rossella Ferorelli, Domenico di Siena, Domenico Finiguerra, MACAO, Luciano Lussignoli, IRA-C.